Ok the results didn't come online super fast, but at least they were easy to find in a system we're all used to using. Red card for Thailand and Cambodia before half time. 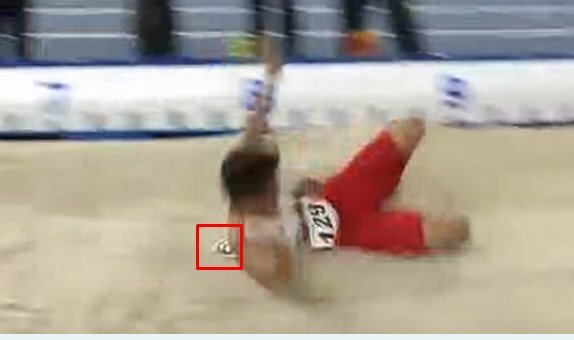 SEA Games have the worst website to be honest. Well there is many mistake here.. Since Guillaume Soh (no 9) is the winner followed by Agus Prayogo (no 4) and Muhaizar (no 5). And our team decided to abandon the match after the Malaysian umpire often "fault" our players during the opening serve kick.. (while ignoring the Malaysian players ofc). The first ice hockey tournament of the Southeast Asian Games ended with a surprise winner. 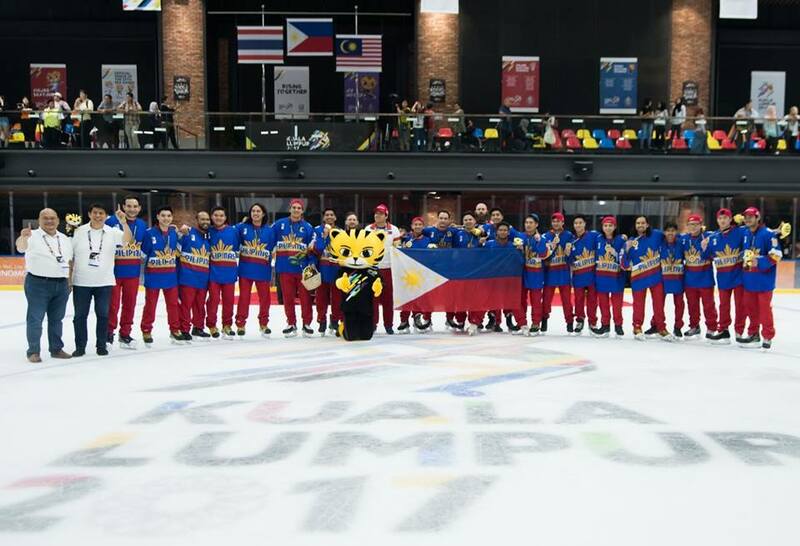 The Philippines, who joined the IIHF just one year ago and had their international debut in February at the 2017 Asian Winter Games in Japan, beat Thailand 5-4 in the deciding game and dethroned the Thai as number-one ice hockey national team in the region. Host Malaysia won bronze. The Philippines already had a convincing start half a year earlier in Sapporo where they lost the first game to Kyrgyzstan but then beat Qatar, Kuwait and Macau to finish the Division II tournament in third place. In Kuala Lumpur the Filipinos played for the first time in an official competition against other nations from the Southeast Asian region. They started with an easy 12-0 win and four goals from captain John Steven Fuglister, who learned his hockey in Switzerland but moved to the country of his mother three years ago. He also shone in the second game with a hat trick in a 7-2 win over Singapore where Carl Michael Montano added two goals. Things became tougher in their third game against host Malaysia in front of 3,102 fans who filled the brand-new Malaysia National Ice Skating Stadium. Montano gave the Philippines a 2-0 lead with his two markers but then Fuglister was assessed a major penalty for checking to the head and neck area. The Filipinos extended the lead to 5-1 until midway the game but Malaysia fought back. Chee Ming Bryan Lim, Ban Kin Loke and Mohd Hariz Mohd Oryza scored three unanswered goals before the end of the second period and captain Loke added two more goals to give Malaysia a 6-5 lead with just over five minutes remaining in regulation time. The Philippines reacted with a pair of goals from Paul Gabriel Sanchez but with 62 seconds left Lim tied the game for Malaysia. After a scoreless overtime period a penalty-shot shootout had to decide. Sanchez and Montano succeeded with their attempts to win the shootout 2-1 and remain undefeated. Thailand, until this week the undisputed number one from Southeast Asia in international ice hockey, was their opponent on the final day. The Thai even beat the other three opponents more convincingly. Six different scorers hit the back of the net in a 7-0 blanking of Singapore. In the 10-4 victory against the ambitious host Malaysia the first line shone scoring seven goals to come back from a 2-1 deficit. Thai-Japanese forward Hideki Nagayama, who from the Thai league moved to the Danish second-tier league via one year of junior hockey in Canada, scored four goals while team captain Tewin Chartsuwan had a hat trick. In the 12-0 blanking of Indonesia the second line was responsible for eight goals including a Phandaj Khuhakaew hat trick. The start of the Philippines-Thailand game, which became a winner-takes-it-all clash for gold, was delayed by almost three hours after Philippines captain Fuglister was assessed a suspension following the incident the day before and the Philippines filed an appeal. It was to no avail so they had to battle against the Thai without their best scorer. However, the Filipinos came out on fire. Thai captain Chartsuwan took a kneeing penalty after 16 seconds of play and Benjamin Jorge Imperial scored the power-play goal one-and-a-half minutes later. The Thai continued to be under pressure with penalty trouble and Sanchez added two more power-play markers for a 3-0 lead after 14 minutes of play. Francois Emmanuel Gautier capitalized on the first man advantage of the second period to give the Filipinos a four-goal lead. That’s when the Thai found back to their A-game and played more disciplined. They eventually outshot the Philippines 44-26 throughout the game and started their comeback. Chanchieo Supadilokluk scored his team’s first goal 28 seconds later and Papan Thanakroekkiat added two power-play goals for Thailand including the 4-3 goal with one second left in the second period. But the Filipinos avoided a meltdown with a stronger showing in the third period. Javier Alfonso Cadiz extended the lead to two goals with his marker at 10:59 of the third period but the Thai didn’t give up. Masato Kitayama, the other forward with Japanese roots, gave the team new hope with a power-play goal with 3:29 left in regulation time. The Thai pulled the goaltender but Gianpietro Iseppi in the Philippines net had a strong night and the 5-4 lead stayed with the final buzzer to give the Philippines gold in the first ever SEA Games ice hockey tournament. Neighbours Malaysia and Singapore faced off for the bronze medal that also ended with a changing of the guard. Singapore had beaten Malaysia 5-4 in the last encounter in March at the 2017 IIHF Ice Hockey Challenge Cup of Asia in Bangkok and held a 2W-1T-1L record against the Malays. But in front of a record crowd of 4,024 fans Malaysia got its first win in an official game against Singapore since 2008. In an opening frame with many chances and penalties on both sides Singapore opened the scoring with a power-play goal from James Nicholas Kodrowski at 6:56. The Malays reacted when two Singapore players sat in the sin bin. Mohd Hariz Mohd Oryza and Chee Ming Bryan Lim capitalized on the situation with two goals but with one second left in the period Kodrowski scored his second PP goal to tie the game at two. The teams were more disciplined in the second period in which Lim scored the only goal midway the frame to give Malaysia its first lead. The host nation changed the game in their favour with five unanswered goals in the third period including a classic hat trick from Lim, who ended up scoring five goals in the game to lead Malaysia to the bronze medal. Singapore had to settle for fourth place getting its only points in a 6-1 victory against winless Indonesia. The last game gave Lim the title of the top goal scorer of the tournament with nine goals (13 points) in four games. Philippine forward Sanchez was the top point scorer with 14 points (8+6). The Philippines also had the goalie with the best save percentage with Iseppi’s 91.67%. For the Philippines the historic gold medal came two years before the country is scheduled as next host of the traditional multisport event that could give the region a boost in promoting the sport. Ice hockey was the first winter sport ever played at the SEA Games and with the tournament over figure skating and short-track speed skating events follow at the same full-size ice rink located in the Empire City mall outside Kuala Lumpur. And tomorrow is figure skating debut.. But I dont think they'll broadcast it..